Pacquiao earned over $150 million for his highly-anticipated 2015 ‘Fight of the Century’ against Floyd Mayweather Jr.
Manny Pacquiao is world champion boxer, a Senator of the Philippines, and one of the highest-paid athletes in the world. Growing up in poverty, Pacquiao slept on cardboard boxes and would often forgo school for work in order to help his mother make ends meet. The future professional boxer was also raised very religious; his mother wanted him to become a priest. So when Pacquiao fought his way out of poverty, he made it a point to give back. In 2016, Pacquiao paid out of pocket for 1,000 homes to be built for the poor in his hometown. 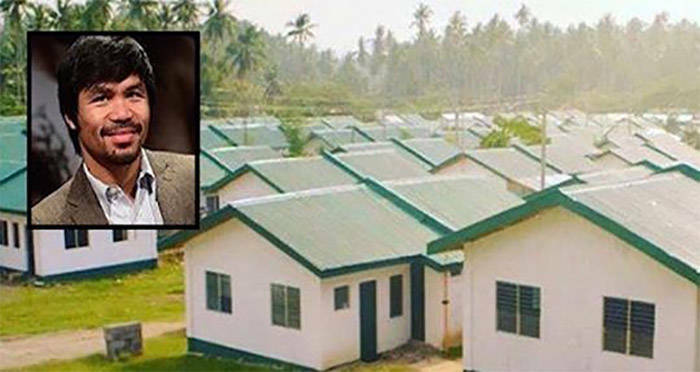 “I’m so happy giving these houses free to my constituents in the Sarangani Province from my own pocket – more than a thousand families are the beneficiaries,” he wrote on Facebook. Despite losing his highly-anticipated 2015 ‘Fight of the Century’ against Floyd Mayweather Jr., Pacquiao earned over $150 million for the match and used much of the money to the finance the homes. He has supported the Department of Social Welfare and Development’s implementation of an antipoverty program. In fact, there is a welfare state in the Philippines that’s referred to as “Manny Pacquiao” because of the charity work he has done. In May 2018, it was reported that after chatting with an ice cream vendor in the Philippines named Mang Marciano, Pacquiao learned that Marciano had recently suffered from a stroke. Pacquiao then gave the man money, and later provided him with a job and home. Nike, a sponsor of Pacquiao for eight years, dropped him from their endorsement deal after the comments were made. He apologized shortly after, but not for the entirety of what he said. “I’m sorry for everyone who got hurt due to my comparison of gay people (homosexuals) to animals…It was my mistake. Please forgive me for those who I’ve hurt,” he said in a statement. It was also reported that Pacquiao was investigated by both Filipino and American tax authorities for millions in unpaid taxes, but his lawyers disputed it claiming that he was asked to pay double tax in the U.S. and the Philippines. Despite all his good deeds, the recently unretired boxer still finds himself under the microscope. 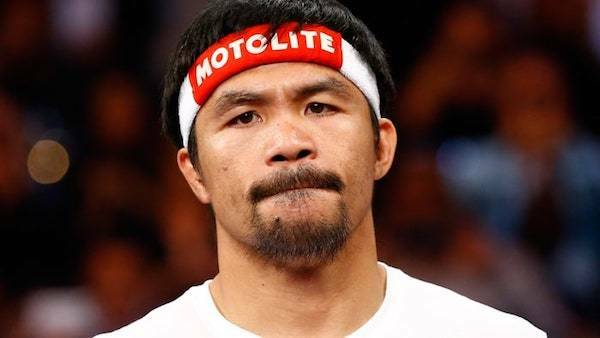 Many have many have expressed concern that Pacquiao’s Catholic spirituality has shifted towards a more narrow-minded evangelical stance and that he has become ignorant of the offensive things he’s said and done. Next read about the poor who live in wire cages in wealthy Hong Kong. Then read about the sad outcome of America’s War on Poverty.